Automatic inground pool cleaners make pool ownership a whole lot easier as they automatically move across the bottom and sides of your pool picking up debris and leaves. 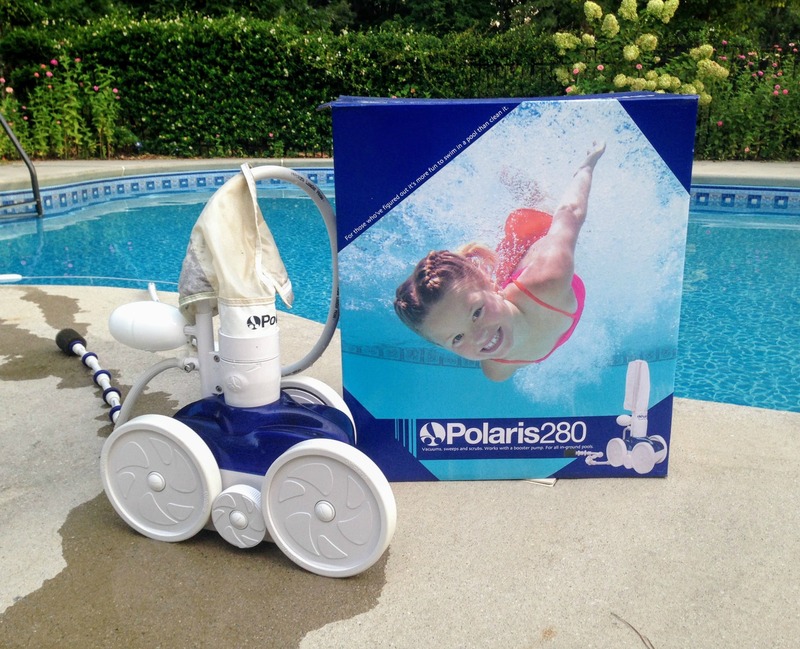 We've owned and used a Polaris automatic inground pool cleaner for many years. It travels across the bottom and sides of the pool picking up leaves and small debris and doing the pool cleaning for us. We like the large filter bag to capture leaves, acorns, pebbles, and occasional golf balls before that stuff reaches the pump basket or filter, prolonging the life of your filtration system. The Polaris 280 model has two jet nozzles while the 380 has three. Also the 280 is driven by gears while the 380 is belt driven making the 280 model in our opinion a superior choice as it will outlast the 380. Pressure side automatic pool cleaners require a booster pump to provide pressure to your cleaner and to propel the cleaner to move all across the bottom and sides of your swimming pool. Most cleaners require a 3/4 hp pump. Be sure the pump is compatible with your automatic pool cleaner. 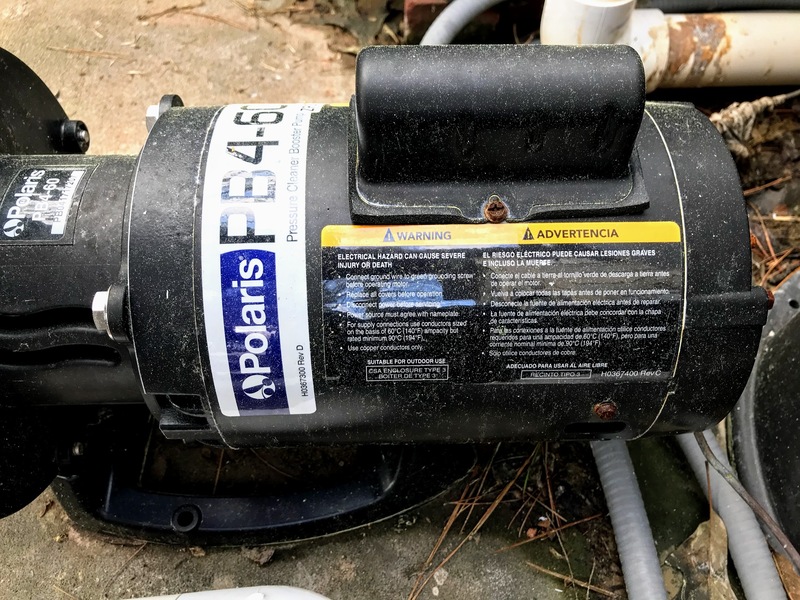 A Polaris booster pump provides the needed power so your Polaris automatic pool cleaner can pick up debris, while circulating clean water throughout all areas of the pool. The booster pump is sold separately. 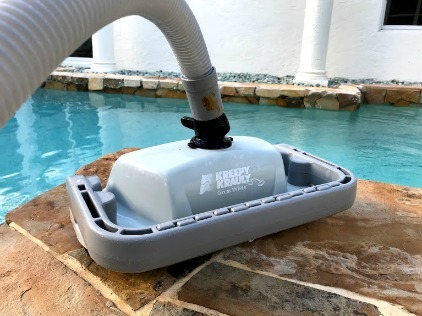 Kreepy crawly pool cleaner cleans pools made of gunite, vinyl and fiberglass. The large 15" path allows this inground automatic pool cleaner to get the job done fast. A unique turning mechanism prevents it from getting stuck and not doing its job. It will climb walls and scour the deep end sucking up whatever it finds. Unlike other cleaners, the Great White cleaner scrubs and vacuums away the toughest dirt. Its bristle-drive mechanism has the strength to knock loose the most stubborn dirt, while the powerful vacuum action whisks away small and large debris. 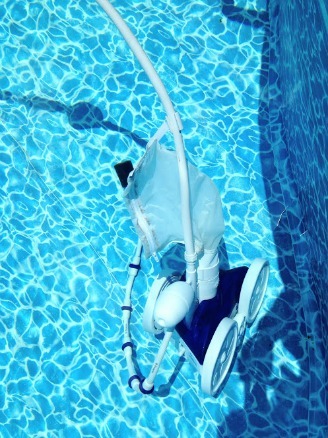 Spend more time in the pool than cleaning your pool with an automatic inground pool cleaner.